Fashionable party dresses 2019 are made of light, flying fabrics, translucent textures, pleated fabrics, lace, crochet and cute pea print. Particular emphasis is placed on handmade themes in fashion 2019. Retro style will help to reveal feminine beauty in 2019 fashion. 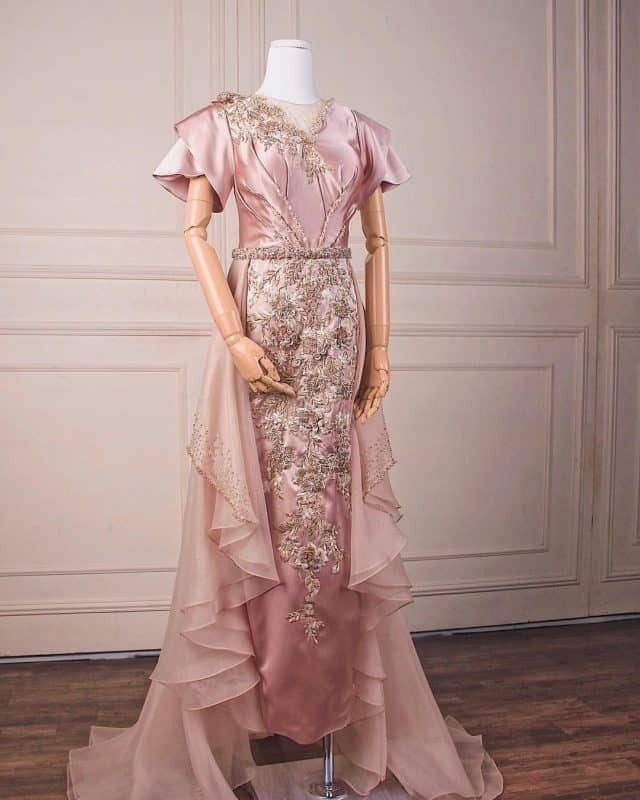 Evening gowns 2019 with abundance of ruches, laces and ribbons take us into era where reigned absolute femininity. 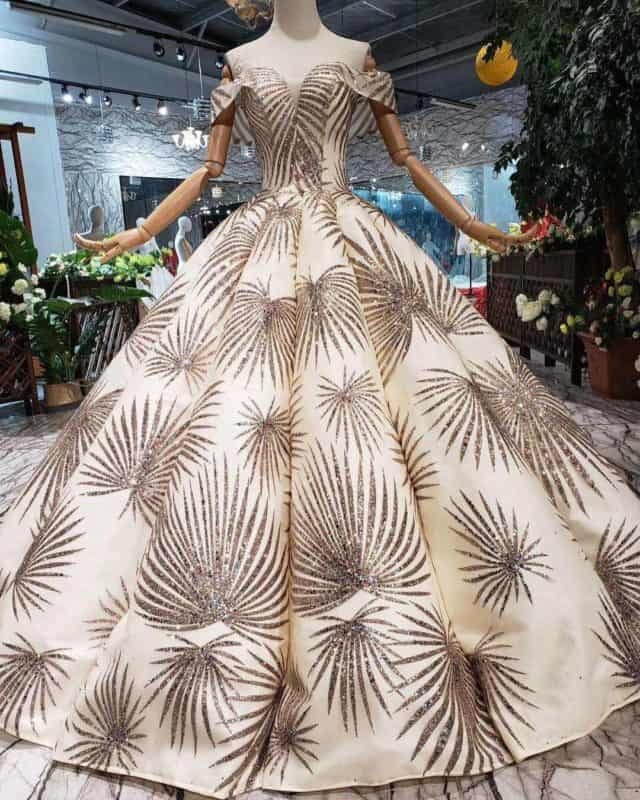 Let’s reveal evening dresses 2019 ideas and trends in our review. 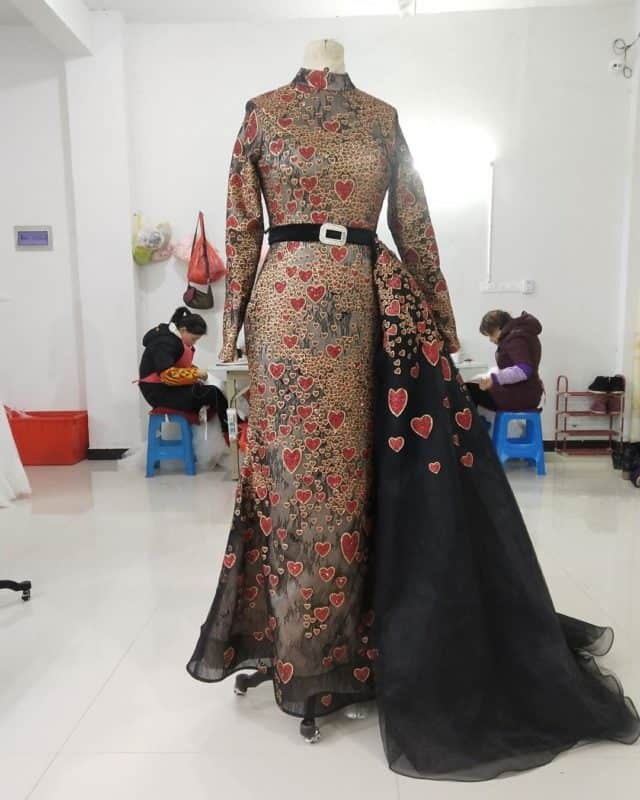 Embroidery on satin and large appliqué in form of giant flowers is trendy handicraft trend that showed itself in all its glory in evening dresses 2019 collections. Artfully embroidered sunflowers and lilies appeared on Andrew Gn evening gowns 2019. Carolina Herrera decorated white little dress with floral appliqué in ethnic style for 2019. Often, satin stitching is combined with voluminous, as if fresh flowers from fabric, as in evening dresses 2019 from Badgley Mischka and Elie Saab. Romantic Victorian era still inspires designers to create models with infinite number of ruff and flounces in fashion 2019. 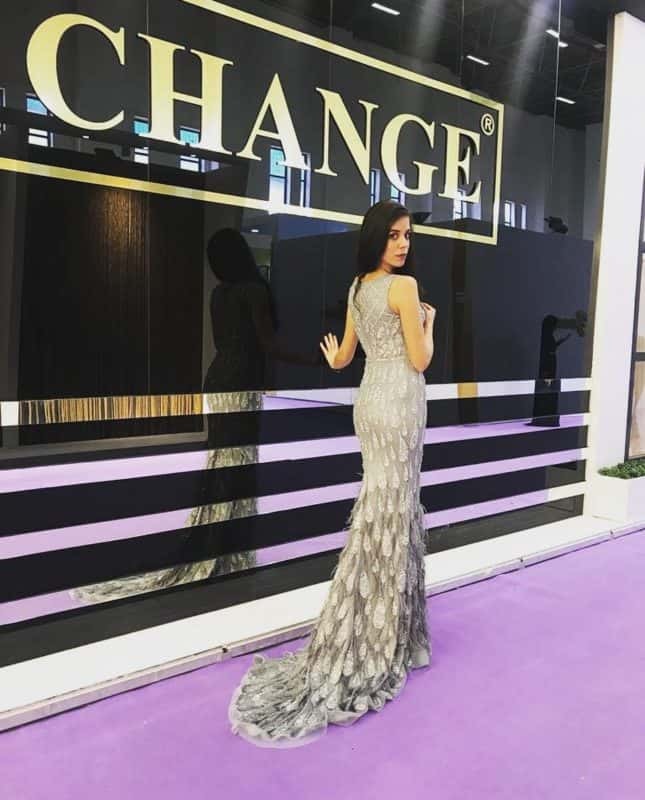 Style Madame Bovary became key trend in fashion shows of evening wear 2019. Dolce & Gabbana, Coach, Giambattista Valli’s evening dresses 2019 with ruffles, lace fabrics and bows are new incarnations of the Romantic era. 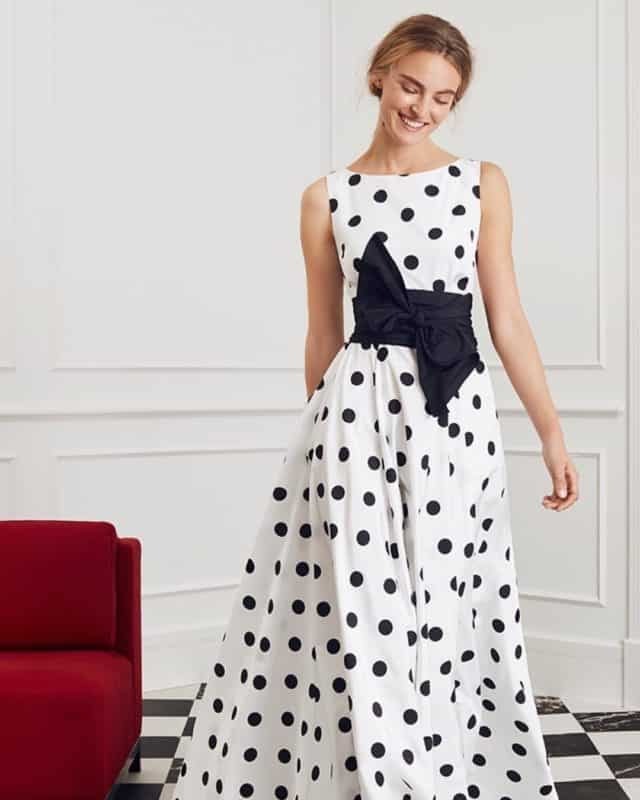 Ball gown dresses 2019 with large flounces on hem from David Koma, Carolina Herrera will be in trend. Huge bows, twisted in lush roses, as on evening dresses 2019 from Miu Miu and Marc Jacobs is another bright trend of 2019. Evening gowns 2019 with lush glamorous feathers are in fashion. Feather design beats records of popularity in fashion world 2019. Choose evening dresses in which feathers serve as a finish, like Badgley Mischka and Céline’s evening wear 2019 collections. No. 21’s bright dresses with feathers all over canvas and Celine’s fluffy puff sleeves evening dresses 2019 are for the most courageous experimenters. Evening dresses with folds of different widths are in 2019 fashion. Now pleats can pass not only along canvas but also across, along oblique and even in circle in fashionable shells-sleeves. 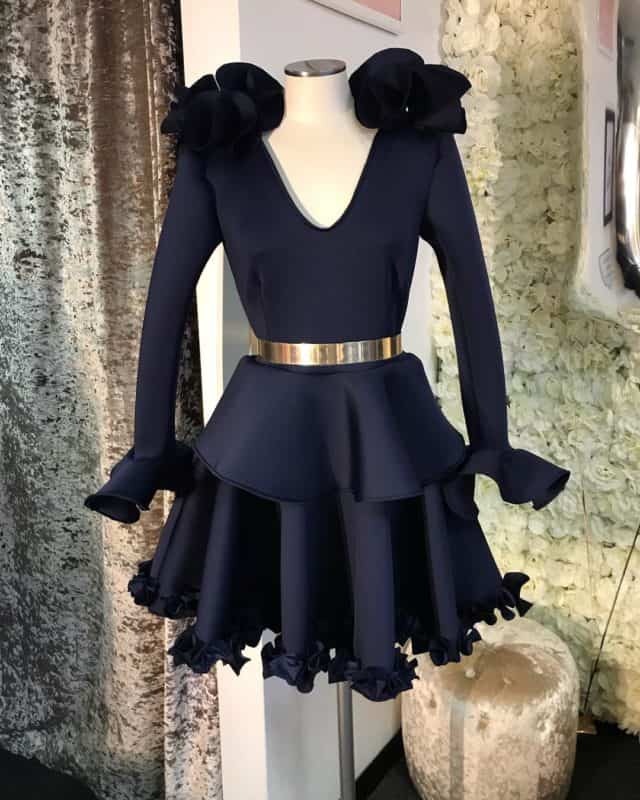 Combination of pleated fabrics, asymmetry and dresses with pleated inserts are in fashion 2019. Those who love pleated evening dresses 2019, choose luxury dresses with asymmetrical cut from Isabel Marant and David Koma’s fashion collections 2019. 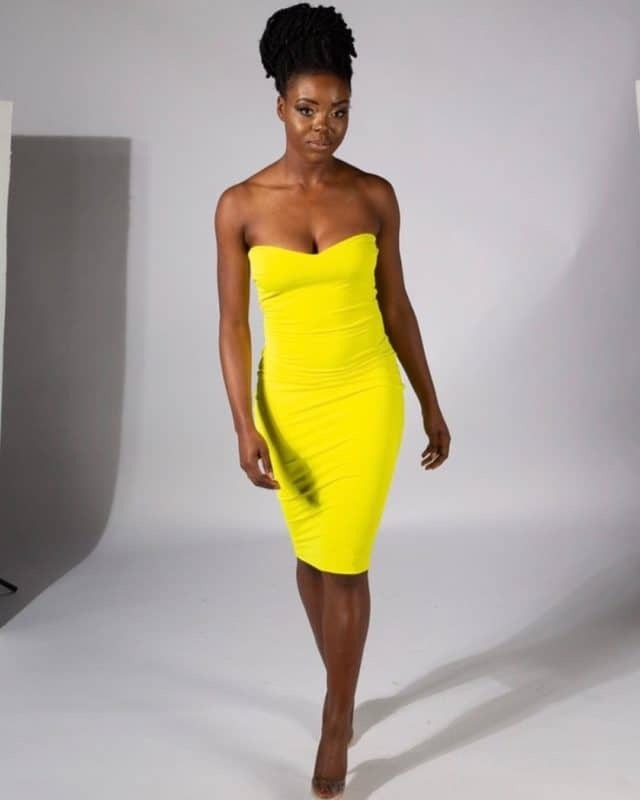 Emphasis is done on shoulders and collarbone of bandeau dress in fashion 2019. Thanks to Christian Siriano, Alexander Wang and Saint Laurent bandeau evening dresses are back in fashion 2019. Any length of bandeau dress will be trendy in 2019: from ultra-mini to maxi length. Basically bandeau dress is a simple cut dress without too much decor. Only emphasis in bandeau dress is done on waistline belt. Masculine trends are gone, femininity reigns in women fashion 2019. Abundance of party dresses with bare shoulders has become another trend of 2019. In Altuzarra, Elie Saab and Mary Katrantzou’s 2019 party dresses appeared attractive cuts on shoulders. Asymmetrical evening dresses 2019 in which only one shoulder is open from Balenciaga and Chloé look no less stylish. Party dresses 2019 with one strap offered Tom Ford, Roberto Cavalli and Anna Sui. Party dresses of transparent and translucent fabrics are the most daring trend of 2019. Trend was suggested by the most famous masters of style: Alberta Ferretti, Elie Saab, Antonio Marras, Philosophy. Slightly challenging, free and relaxed chiffon euphoria is slightly smoothed out by restrained bralettes and shorts, which appear through bold outfits in 2019. Evening dresses with large, bulky stones, rhinestones, beads are in 2019 fashion trend. For example, party dress 2019 from Badgley Mischka is decorated with large 3D flowers from fabric and beads. You will like Dolce & Gabbana’s party dresses with decorative buttons, rhinestones, sequins, intricate embroidery for fashion 2019. Evening wear with shell sleeves is new trend of 2019. Handbags, applications, jewelry and decor in form of shells of various mollusks and snails are in 2019 fashion. Evening wear 2019 with perfectly round shape shell sleeves is perfect idea. Relief texture of shells is often achieved by small pleats. 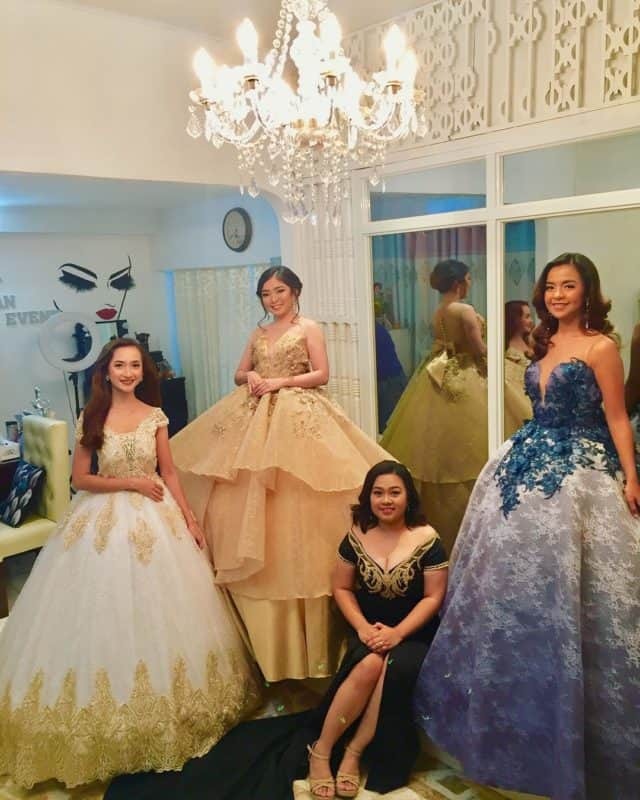 Models of evening gowns 2019 with shell-sleeves are more than original. Striking examples are evening gowns 2019 from Balmain and Valentino. Forgotten dresses with short skirt on front and long back are in fashion again. Designers Andrew Gn, Jonathan Simkhai, Mark Jacobs decided to return undeservedly forgotten mallet dresses to life in 2019. Dresses with a train got complete freedom in fashion 2019. Along edge of canvas can be rows of ruches or lace. Mallet’s top and bottom are combined from different materials in 2019 fashion. Mallet evening dress 2019 can be frilled or look like asymmetrical shirt dress. Ball gown dresses with splashes of colors, colorful stains, colorful specks, art deco elements and scenes from surrealistic paintings will like all fashionistas in 2019. If you look closer at colorful evening wear 2019, you’ll be able to see complex abstract miniatures that are in no way inferior to works of great avant-garde artists. This is what fashionable ball gown dresses 2019 from Mary Katrantzou, Louis Vuitton, Marni and Mugler look like. 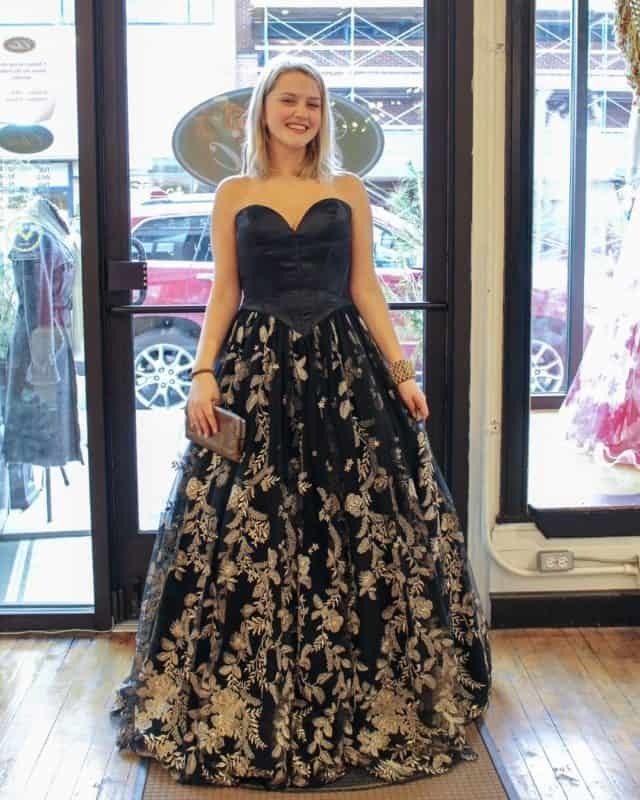 Ball gown dresses 2019 with sharp shoulder are one of the most unusual retro trend of 2019. Pointed shoulder cut was in fashion in the 80s. Trend is back in 2019 in a new guise. Effect of triangle shoulder is achieved in different ways: special cut, flounces, fringe, assembled sleeves, jabot with wide pleats. Balmain even floated decorative plastic shoulder pads. Dress triangle, as a rule, should be mini length in 2019 fashion. So protruding corners of shoulders look even more spectacular in 2019. 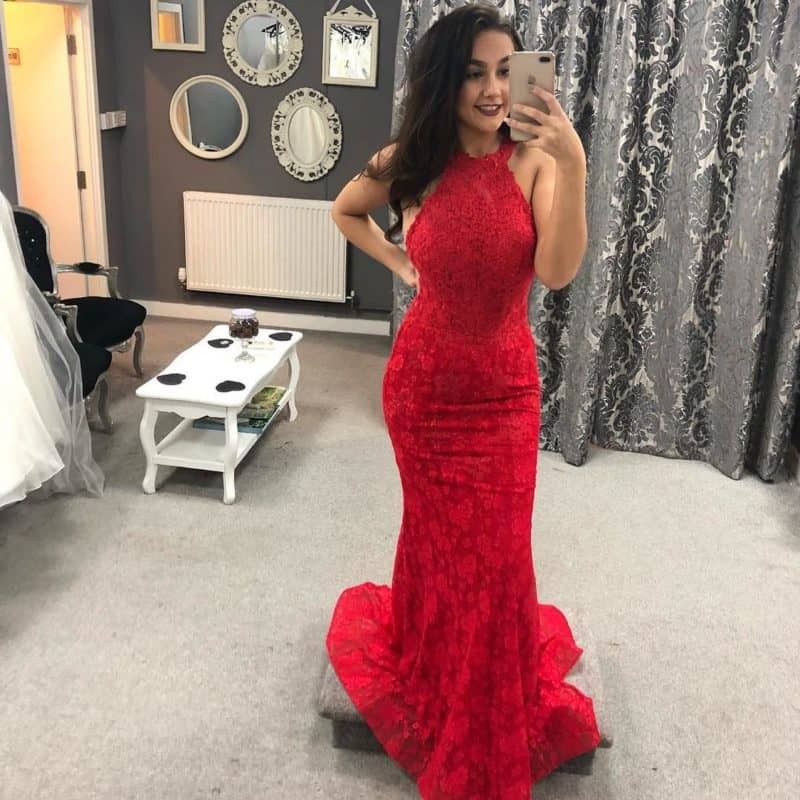 Conservative maxi length and moderate midi ball gown dresses 2019 with sharp shoulder are also trendy. Marine themes dominate many haute couture collections in 2019. Brilliant sequins in green, azure and blue colors, stylization under fish scales, applications in form of starfishes and seashells: all these symbolizes beauty of water element. Holographic dresses with sea motifs were met in Céline, Badgley Mischka, Anna Sui, Andrew Gn and Christopher Kane’s evening wear 2019 collections.